shanreville | Welcome to COLA Study Abroad! 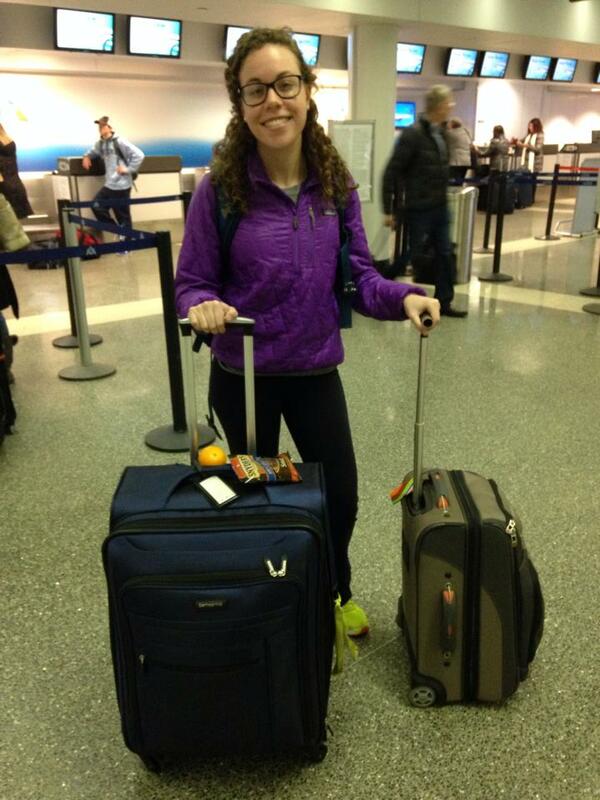 Hannah Drake about to depart on her semester abroad in Granada, Spain. Hannah Drake is a family-oriented girl. She loves spending time with her younger sister and her parents. And since she is an English major, she often finds herself writing stories with main characters closely resembling her loved ones. But Drake, who is spending the semester in Granada, Spain, has a new set of family members to write about: Her host family. Now, sure, living with a host family isn’t for everyone. Some people find it scary. But for Drake–who embraces the literary inspiration–those “what ifs” are the draw. And Beatriz and Javier (her host parents) have welcomed Drake into their home with open arms from the moment she arrived in Spain. A seamless embrace, really. Drake is the couple’s third guest, and she recalls her first moments in the Spanish home as heartwarming and comfortable. Drake sat in the small, bright home as Beatriz made her soup and croquetas (“little nuggets filled with ham and cheese and covered in buttery bread crumbs”). “And there was a loaf of fresh bread on the cutting board,” Drake said. Now doesn’t that sound warm and inviting? Even still, Drake must admit she found it all a little hard to swallow, being her first night and all. It was a grand gesture she didn’t quite know how to accept. “The jet lag and the anxiety and the excitement were just a little bit too much, but I was [still] grateful,” Drake said. 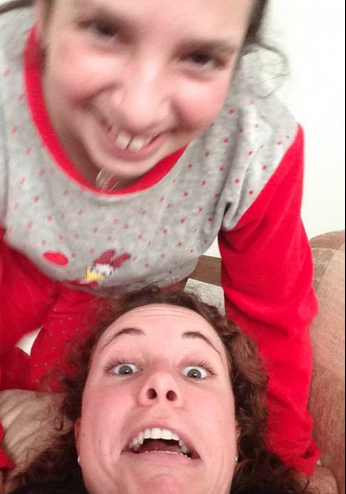 Hannah and one of her Spanish “sisters” named Ana, 10. Since then, it is clear Drake has started fostering a soon-to-be-wonderful relationship with her family away from home. She has learned quite a bit about Beatriz and Javier’s two daughters, whom she calls her sisters. The family has also done their part in introducing Drake to their home city of Granada. Javier pointed out bars and some of Granada’s hotspots, but being only her first day at the time, Drake said her nerves took over. She found it hard to remember everything he pointed out. But nowadays, with a couple of weeks under her belt and the continued help of her new family, she is getting to know the area. And meals happen to be one of Drakes most cherished events–not due to the constant bread and olive oil, though. But instead, because of the time she can spend with her host family. “Their kitchen is small and our elbows all touch when we’re eating dinner,” Drake said. “But that’s one of my favorite parts of the day! During these elbow-touching meals, Javier does his best to speak English, Drake said, taking any chance he can to use his favorite words: “teenager” (which he pronounces as “teenydor”) and “perfect” (which to him sounds like “pehrfek”). And Drake’s host mom sets out the food for the family. “[She] is a beautiful, elegant, welcoming Spanish woman with dark hair and tiny smile wrinkles around her eyes,” Drake said. This elegant woman has made Drake feel comfortable and welcome–no small feat for Drake, who describes herself as a “study abroad rookie,” and who is very close to (and undoubtedly missing) her own mother back in New Hampshire. It is early in the trip, and Drake’s anxiety still lingers each morning, but her host family is certainly helping her settle the nerves. And most of all, keep getting to know that generous, lovely host family. They’ll be the main characters in your next big story, after all! 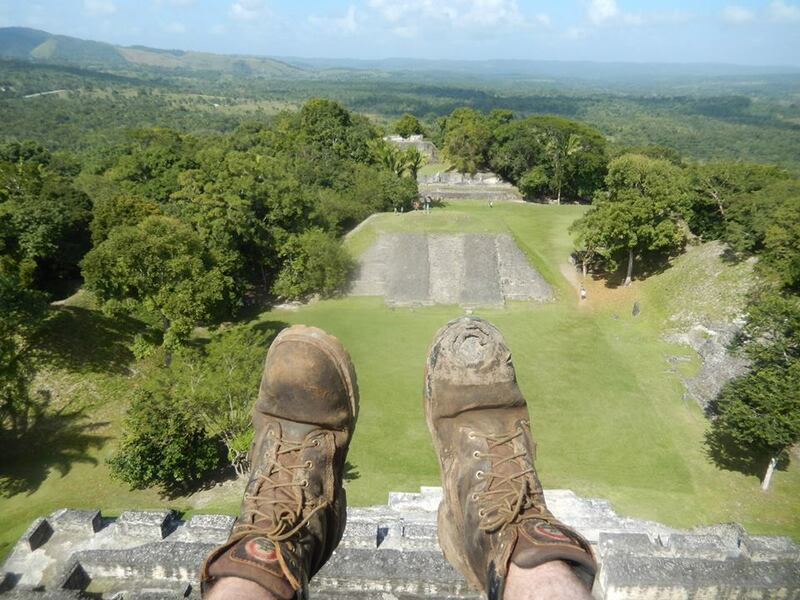 Steven Cowley was well-prepared for his trip to Belize this past January-Term. Of course, he’s an adventurous, outdoorsy, easygoing guy with an interest in Geographic Information Systems (GIS) and a major in History…so…this comes as no surprise. 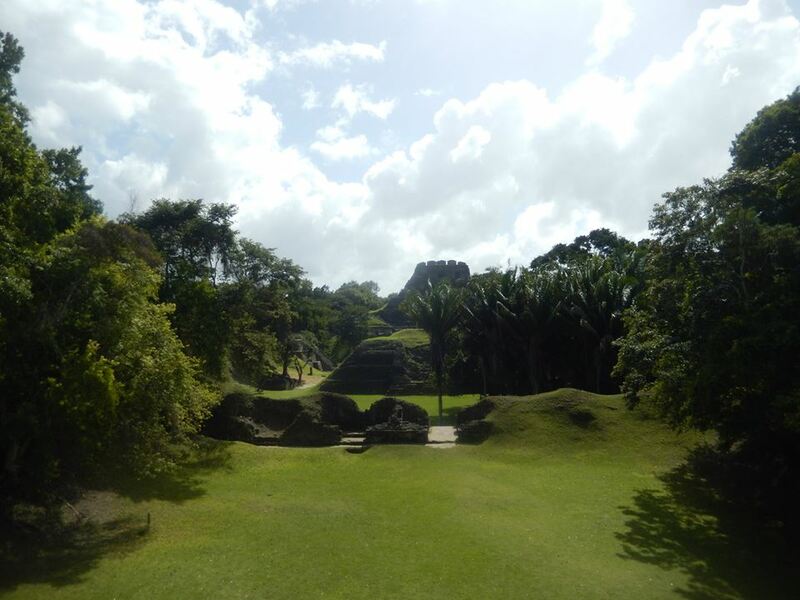 The Archaeological Survey & Mapping J-Term program is a 2-week trip in the jungle, really. 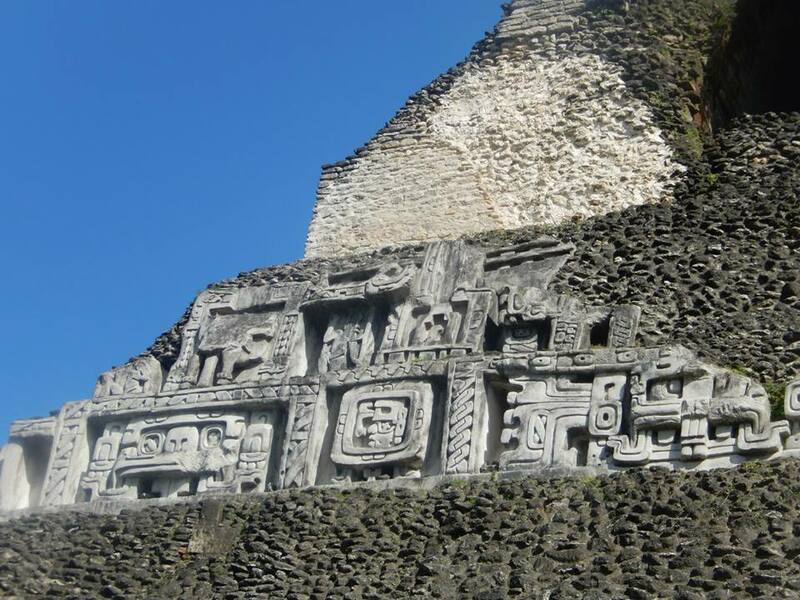 Students earn 4 credits by spending their weekdays getting hands-on training in field reconnaissance, and surveying and mapping ancient Maya archaeological sites. 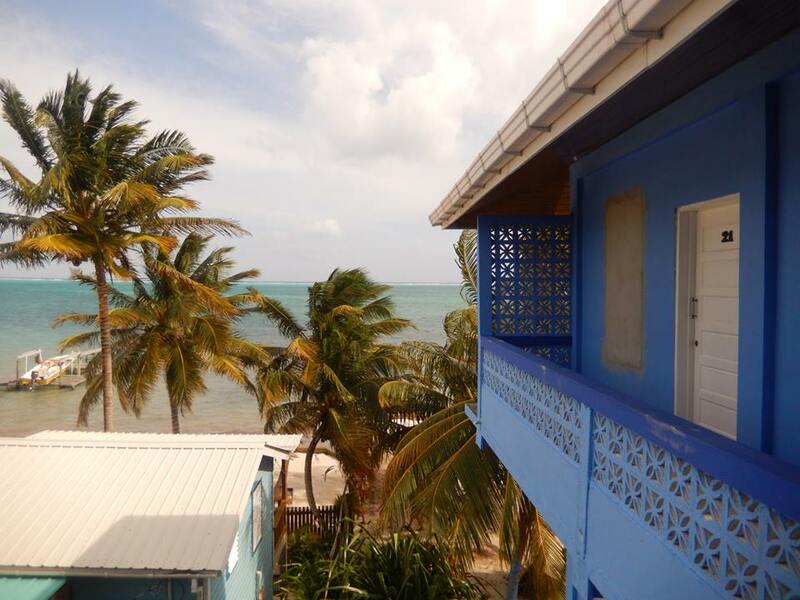 And this all takes place in the Caribbean/Central American/jungle hybrid country that is Belize. 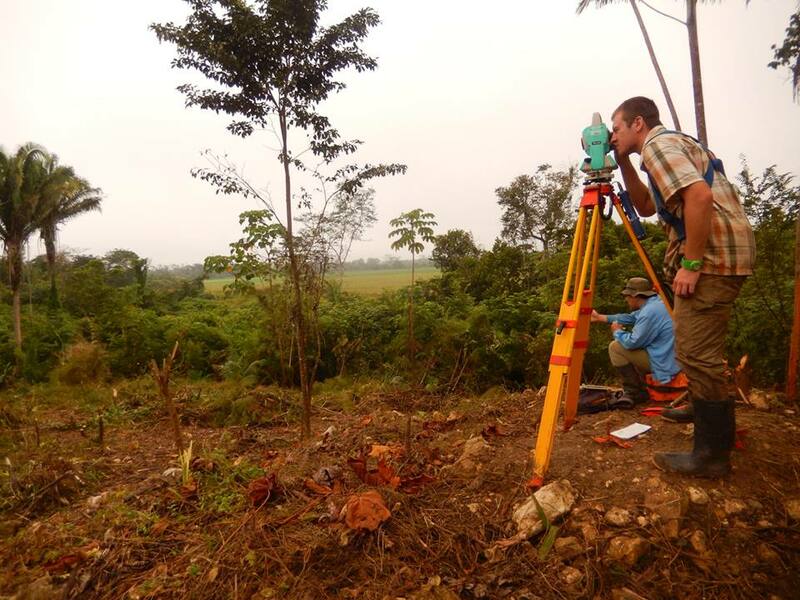 The program, which allowed Cowley to apply his passions for history and GIS mapping in the real world, gave him an experience he says he would otherwise never have had. He was excited to change that. And thanks to that excitement, the days before Cowley’s trip pretty much lacked all nervousness. Which is a lot more than most soon-to-be study abroad students can say! His levelheadedness before and during the trip comes from his preparedness. Cowley knew going into this that it was a short trip and he needed to make every moment count, and that’s exactly what he did. It was just a completely successful learning experience, Cowley said. Cowley said that the trip was challenging physically, intellectually, and at the end of the day he was in a foreign country and, like many study abroad students, realized he needed to adjust his behavior and actions to suit the needs of the task at hand. …in a short, action-packed amount of time. Cowley described himself as not one of the “typical” study abroad students. He wasn’t looking for a semester-long extravaganza of foreign culture. (Not that that isn’t awesome, too). He wanted a time-sensitive challenge, wherein he could get a taste of history and GIS in a foreign country. And that is what’s so great about J-Term! And that means it must have been really awesome, because Cowley’s expectations were pretty high. In the days leading up to his departure, he sent me a long message spelling out his hopes for the trip. Cowley had some high hopes for this trip, and in just two short weeks, he says the trip met all of his expectations. As a true study abroad experience, J-Term programs are not to be discounted. 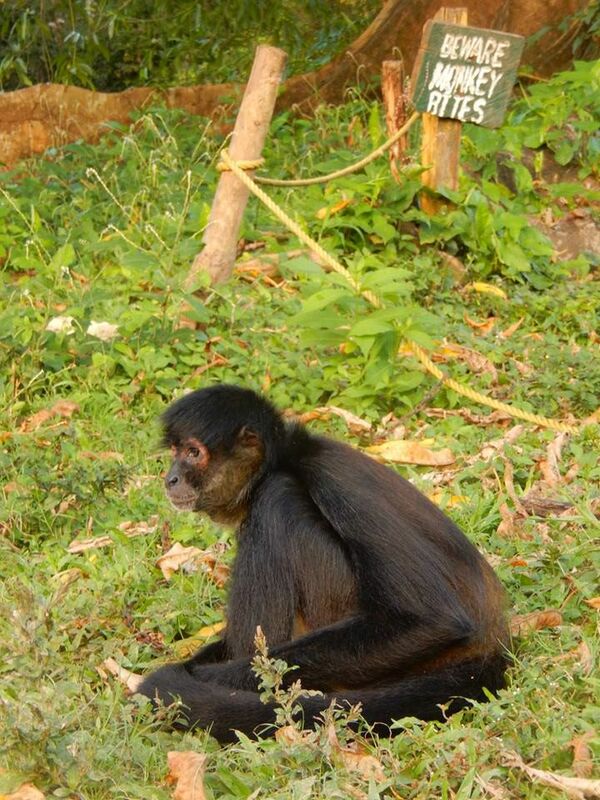 Just ask Cowley, and he’ll tell you that he will remember his trip to Belize forever–just like every other study abroad student there ever was, no matter how long their stay. 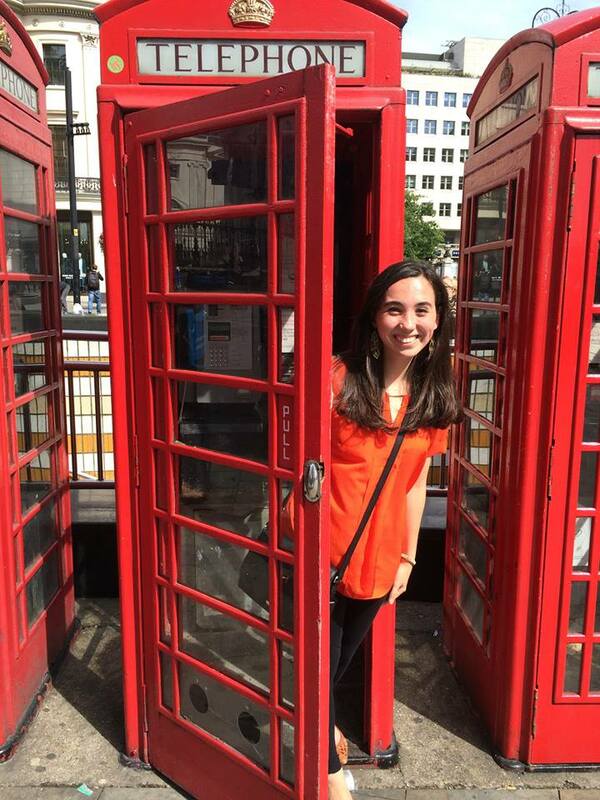 Shaina Maciejewski doesn’t have any negative things to say about her experience in London this past semester. Even when pushed about the challenges of studying abroad, asked about what she found most frustrating, Maciejewski couldn’t find an honest answer. So with the semester winding down and the holiday season upon us (The Sound of Music on replay), here is a simple list of a few of Maciejewski’s favorite things (cue Julie Andrews singing about bee stings in an Austrian valley). The Tower of London: Over 900 years old, this enormous place is a hub of British history, and Maciejewski loves it. 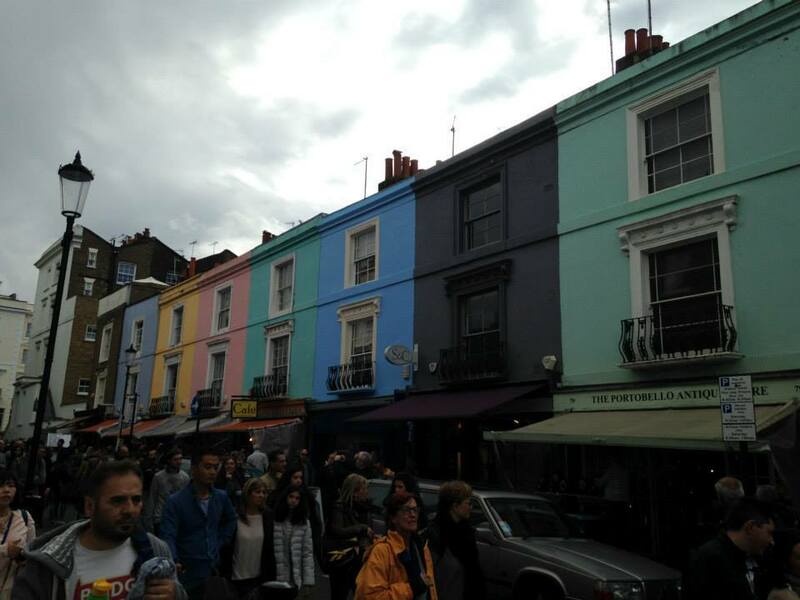 A photo of Portobello Market, captured by Maciejewski on one of her many trips to get unique souvenirs for family and friends. Public Transportation: Maciejewski was very nervous about whether or not she’d survive on London’s “tube.” However, she ended up doing much better than she thought she would. Maciejewski said that classes like this make the actual academic experience of studying abroad more worthwhile. Her New Schedule: In London, Maciekewski believes she’s mastered the “work vs. play” balance far better than she ever did in Durham. Maciejewski posing in front of Big Ben, with a notorious, red phonebooth. In the end, if there was only one bit of advice Maciejewski could give to a prospective student, it would be to go abroad as long as possible. However…Maciejewski couldn’t put her finger on anything she didn’t particularly like! Maybe her experience in London has made Maciejewski better at accepting the things she cannot change…or maybe she really couldn’t find any negatives about her experience. 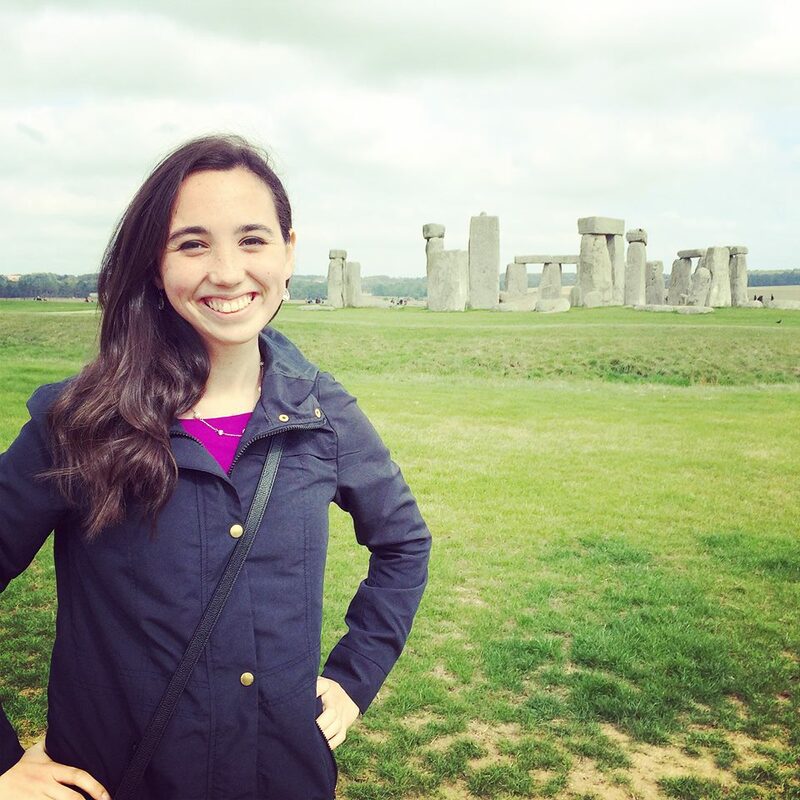 When Michele Nunnelly made the trek from UNH to Regent’s University in London, England, there were a few things she knew for sure. She knew she would eventually get homesick. She knew she’d travel to other countries. She knew she’d have to push herself academically. She knew she’d have a blast. 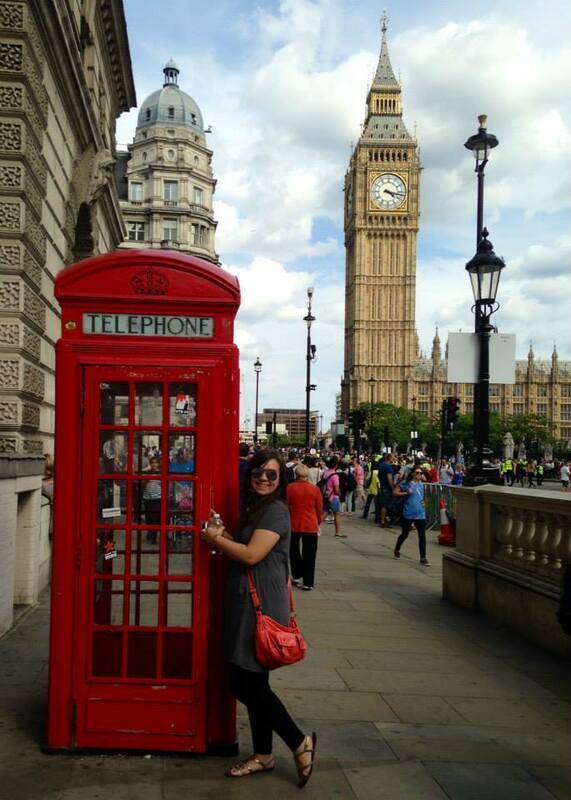 Michele Nunnelly is currently studying abroad in London, England as part of the UNH-Managed program. What she didn’t know, however, was that studying in London would offer her the chance to hear music in a way she’s never heard it before. You’re probably thinking, big whoop! Everyone knows there’s more culture in Europe! But for this music education major and flutist, experiencing music is an integral part of her education, her happiness, and her future. Not to mention: That homesickness she knew she’d get? Yeah—the comfort of getting lost in a Brandenburg concerto certainly helps. So, it’s no surprise that Nunnelly’s ears have heard their fair share of London melodies this semester. 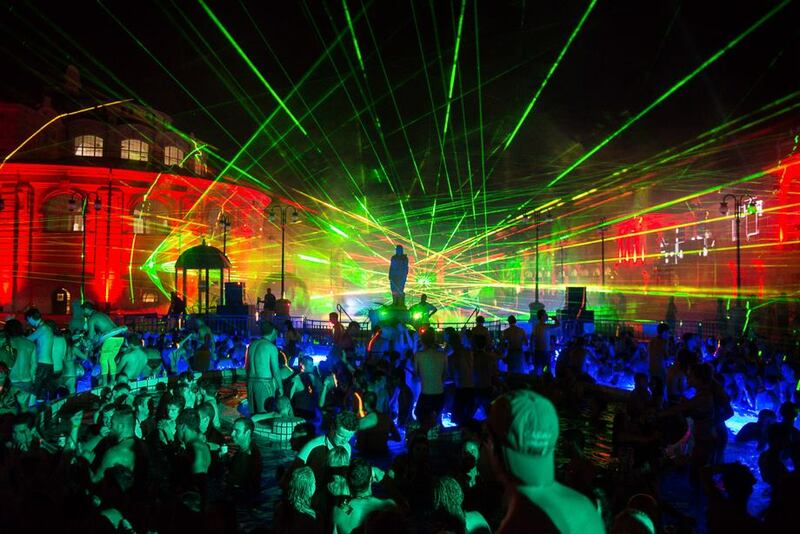 Nunnelly recalled a music festival she heard about in her very first week abroad. The first concert Nunnelly attended was the London Symphony Orchestra, where they performed 20th century Russian music. 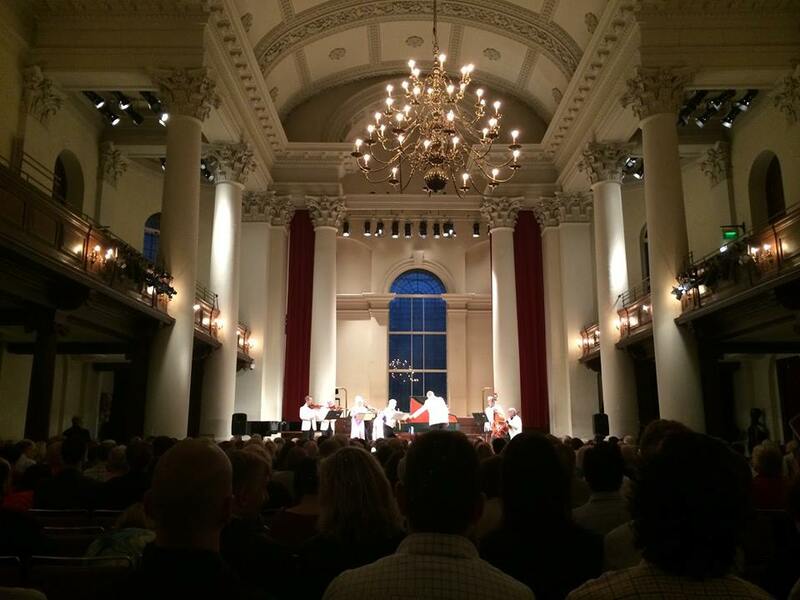 She’s also attended a few concerts at a church near Trafalgar Square. Once she watched a Spanish flutist and Indian Pianist play an arrangement of solo pieces from around the world. 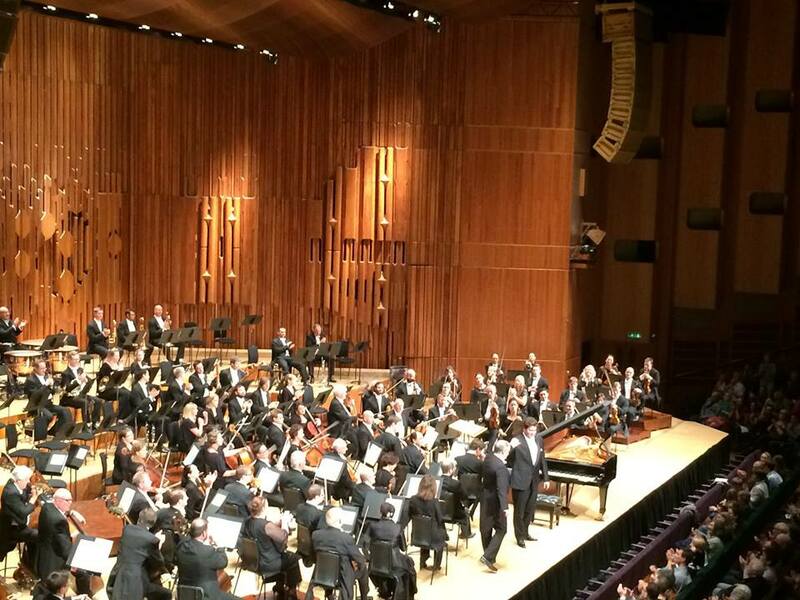 Nunnelly’s view of the London Symphony Orchestra–her first concert experience in London, located at the Barbican Theatre. Another time she had the “great opportunity” to see world-renowned flutist James Galway and his wife, Lady Galway, perform together. “That was really great,” Nunnelly said. James and Lady Galway performing Brandenburg concertos. And this past Tuesday she took a master class at the Royal Academy of Music, after which there was a recital with flute and African music. When interviewed for this blog, Nunnelly was very excited for the master class. And with more than half of Nunnelly’s semester come and gone, some of her classmates will undoubtedly start to make their final souvenir purchases; maybe a Big Ben coffee mug, or a British flag to hang in their dorm room back in Durham. But Nunnelly will fill her last weeks with as many last-minute music experiences as she possibly can, taking in all the music she never knew she’d hear. Because the musical and cultural experience is, after all, the souvenir Nunnelly will keep with her forever. 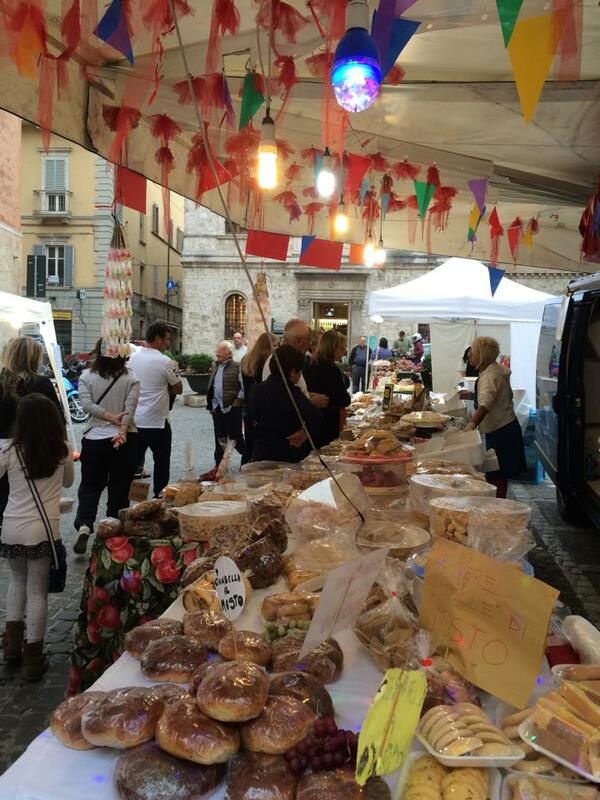 Emma Rayner is studying in Ascoli Piceno, Italy as part of the UNH-in-Italy program. …That is, until she has to talk to someone. “If they didn’t talk with their hands so much, I seriously would be hopeless,” Rayner laughed. But in all seriousness, Rayner has not stopped learning about Italy since the moment she arrived at the beginning of the semester. All this learning, however, and especially the field trips, have raised several internal questions for the junior English and EcoGastronomy major. The first field trip Rayner went on was to a restaurant right in Ascoli Piceno. Rayner took several field trips for her Philosophy of Food course. The second field trip was to an Italian farm where they make all their own food from scratch. And the last field trip Rayner attended was a wine tasting. Rayner said she hasn’t found the answer to any of these questions, and isn’t sure if she will. “I’m still thinking about them and talking about them. I can’t necessarily come to a conclusion, but I guess that is kind of the point,” Rayner said, adding that keeping the questions open-ended has forced her to think about them throughout all her travels this semester, in and out of Italy. Rayner has come to love the Italian cuisine, which has sparked many academic questions for her. 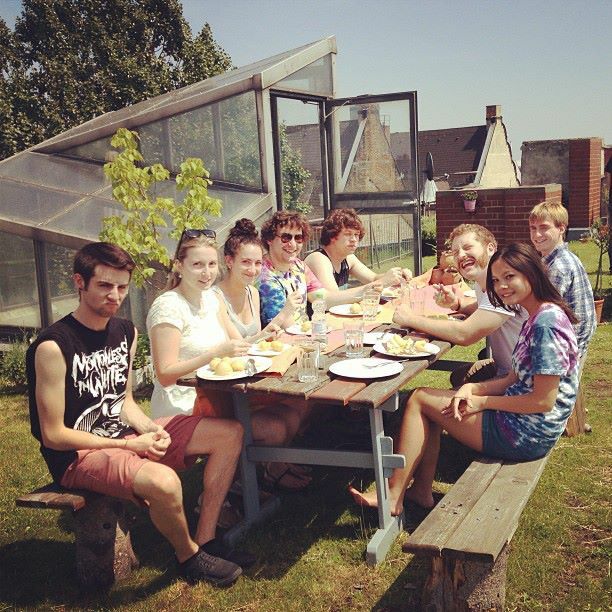 This is why Rayner believes the entire study abroad experience has been something beneficial to her student life. She is out of her comfort zone, not only asking questions within her field of study, but also asking questions about herself. Rayner laughed about the fact that she went to a market and bought a faux-leather jacket and boots. So has studying abroad not only changed Rayner’s view of the world, but the way she wants to portray herself? So like the rest of the questions Rayner’s time in Italy has raised for her, it seems the question of whether or not she’s changed is also open-ended. “I am having a blast, and I don’t want this to end,” Rayner said. But so long as Rayner continues to think about her Italian teachings, keeps on asking herself those open-ended questions about her food and herself…will her study abroad experience ever truly end? Most students have a lot of fun when they go abroad. That’s just common knowledge. But prospective students should bear in mind that there are also several problems study-abroad students may face. From homesickness to language barriers, to just learning the social norms of a new city, there is no doubt that if one chooses to study abroad, they may need to make a few lifestyle adjustments. For Meg Battersby, who is studying in Budapest, Hungary with the UNH Justice Studies program, the one problem she’s had to deal with is learning how to juggle her class work and her widespread and wonderful globetrotting. Of course, that’s a problem she’s happy to face. Battersby’s face lights up as she describes her many trips, especially her trip to Italy. Now…the downfall to all of her explorative gallivanting? This is indeed the eternal question for study abroad students. Battersby describes it as a constant struggle between remembering that she’s still part of an academic program, and also trying to make the most of the experience by taking every opportunity to see a new place. 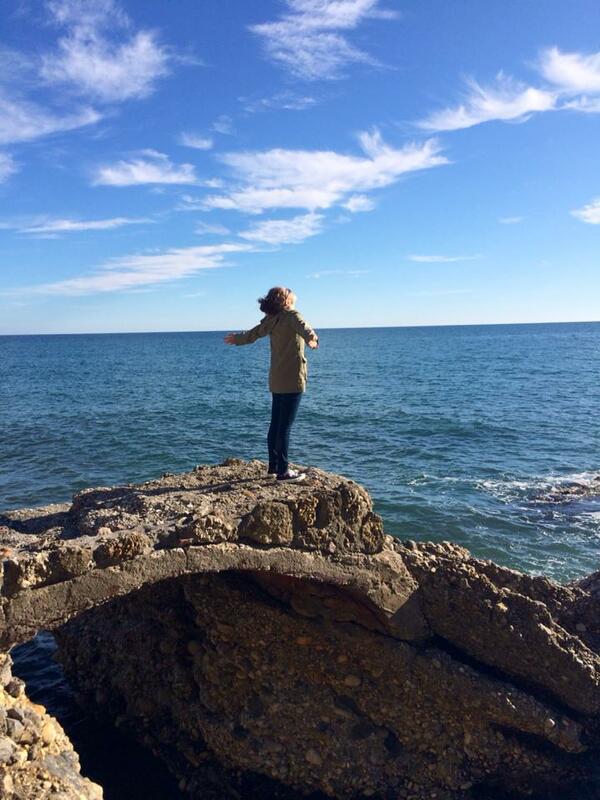 But finding that perfect balance simply isn’t easy, because as much as Battersby loves to travel around Europe, she is also thoroughly enjoying the experience of taking classes abroad. Battersby has found it particularly interesting to be studying in a post-communist country, where the relatively recent oppression is apparent. As a justice major, Battersby feels studying abroad has made her a better student and given her a broader understanding of her field. One of the night clubs Battersby has attended with fellow UNH students. So all in all, it is the combination of education and excursions that has made Battersby’s abroad experience complete. She’s not afraid to admit, however, that her excursions tend to take precedent. In the end, balancing schoolwork and exploration will forever be an obstacle for study abroad students. …She’s off to the Netherlands! 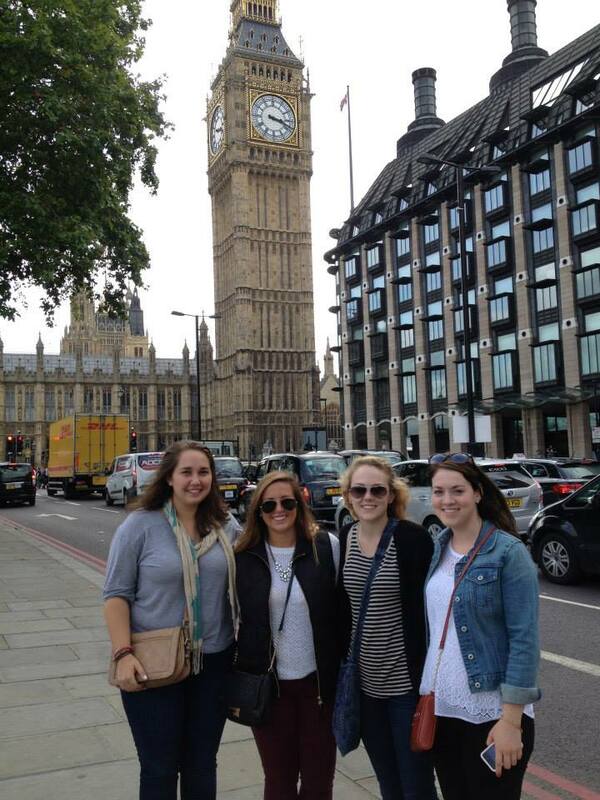 Bri Leclerc (second in on the right) and fellow UNH students in front of Big Ben in London, England. Bri Leclerc is studying abroad in London, England as a part of the UNH-Managed program, which allows students to study at Regent’s University London. She is a junior, Business Administration, Marketing, and Entrepreneurial Studies major, and in her free time she’s made herself comfortable in the buzzing city. And in case you’re reading this and wondering if you should take a leap across the Atlantic, too, Leclerc is ready to weigh out her pros and cons of studying in London to help you make that decision. British Pubs are a major part of the culture in London and the rest of England. So it is no wonder why Leclerc’s favorite memory thus far is one of the first night-time outings she had on a pub crawl in the northeastern borrow of Camden. 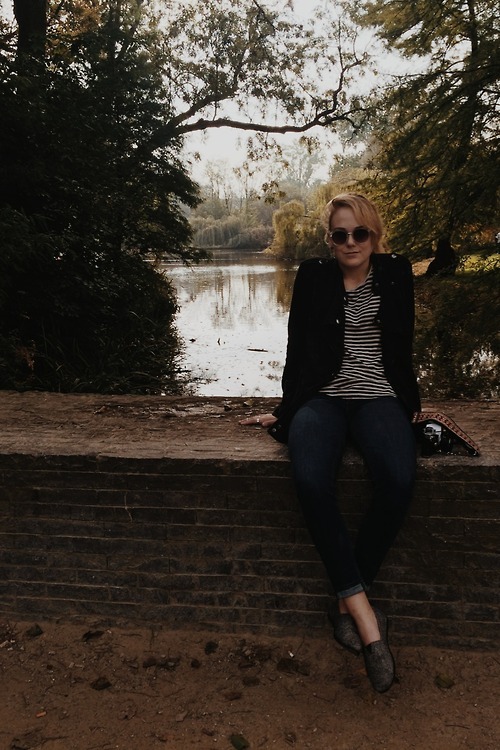 Bri Leclerc sitting in Vondelpark, Amsterdam, Holland. 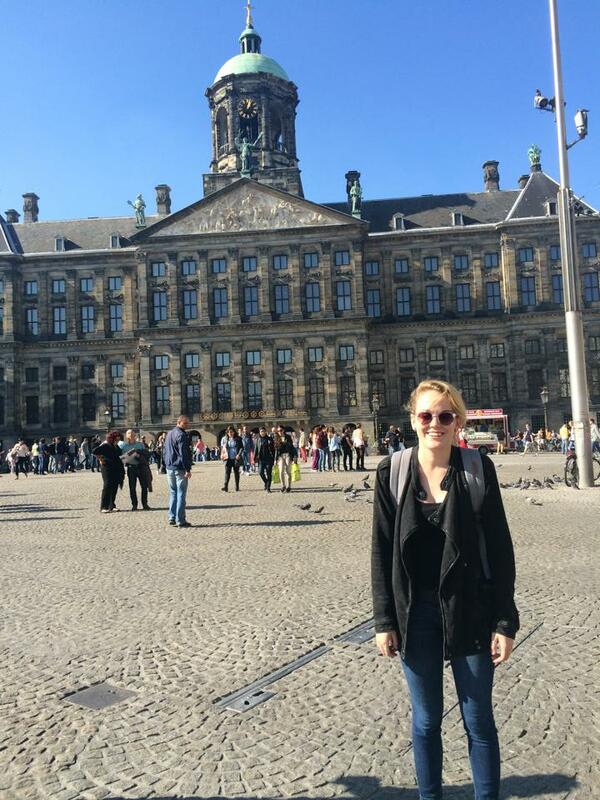 The verdict is in: After weighing the pros and cons, Bri Leclerc is certainly enjoying her time studying abroad. 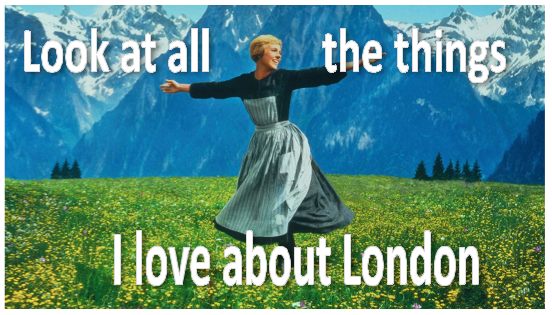 At the end of the day, Leclerc is happy to be spending her semester in London. Experiencing the culture of a different city and meeting new people every day are some of the highlights of her travels, and it is clear this trip abroad is just the beginning of her globe-trotting future. And the truth is, every student that studies abroad will find his or her own pros and cons. Who knows, you may love the British cuisine…maybe. But more than anything, Leclerc wants prospective students to realize that even if they do decide to spend time studying outside the US, the experience they have will be determined by the choices they make when they get there. Leclerc can be followed on her own blog, Wanderlust and Europeans. Now go weigh your pros and cons…and come to the realization that it’s your turn to see those beautiful things. “You can tell she loves what she does,” Georgetti said. However, much to Georgetti’s dismay, the woman can’t speak a lick of English, and Georgetti is still perfecting her Italian. So the two have resorted to smiling at each other and using a combination of facial expressions and body language to make pie transactions. Woman selling homemade baked goods at a street market in Ascoli-Piceno, Italy. “Let’s just say I’ve eaten a lot of her baked goods,” Georgetti laughs. 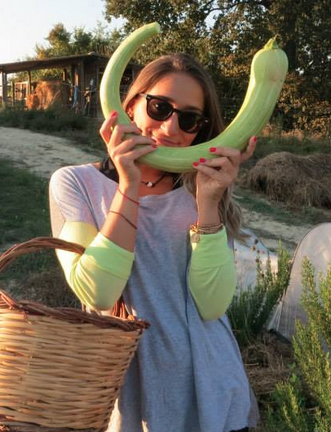 Georgetti is part of the UNH-in-Italy: EcoGastronomy program, spending her entire fall semester in the small town of Ascoli Piceno, Italy. As a Sustainable Agriculture and Food Systems major, she is taking the opportunity to soak in as much edible culture she possibly can, and describes the daily market as her favorite place to spend her time. In Ascoli Piceno, however, you can pretty much find that deep-rooted culture anywhere you go. Known as “the city of one hundred towers,” several travel guides describe Ascoli Piceno as an ancient city, wherein the culture—and more specifically, the food—has not changed in centuries. Traditions and recipes have been passed down for years, remaining an important part of day-to-day life. Which is why it’s a great place for the UNH-in-Italy fall semester program, as the program is the gateway to a dual major in EcoGastronomy: a first-of-its-kind interdisciplinary program, which allows UNH students interested in nutrition, hospitality, and sustainable agriculture to study food, cooking, and holistic eating habits. Of course, Ascoli Piceno’s unchanged food history did not surprise Georgetti upon her arrival to the city. 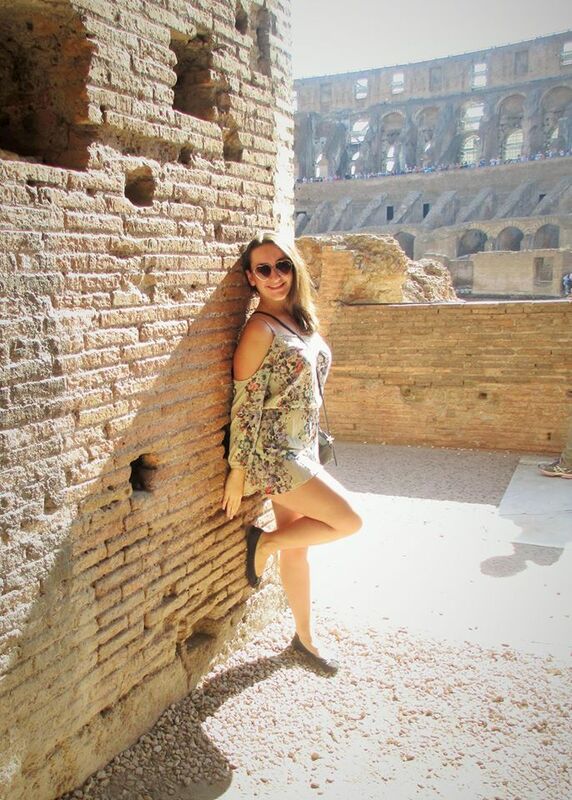 She has been to Italy before; while taking a gap year between high school and college. She spent time tutoring in English for an Italian family. 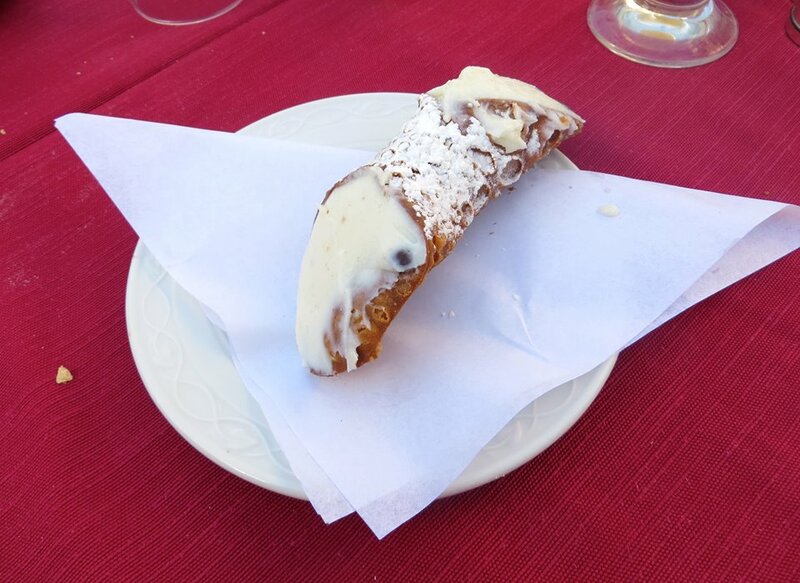 So, having experienced the flavors of Italy before, she knew she would find delicious food in a small town like Ascoli Piceno. It is another, widely accepted tradition in this particular Italian town which Georgetti did not expect. A tradition she was part of before she even knew it was a tradition. Every fall this small town, with a population of 51,000 (versus Florence’s 370,000), increases by about dozen people. A dozen bright-eyed, curious, hungry people: students from the University of New Hampshire. 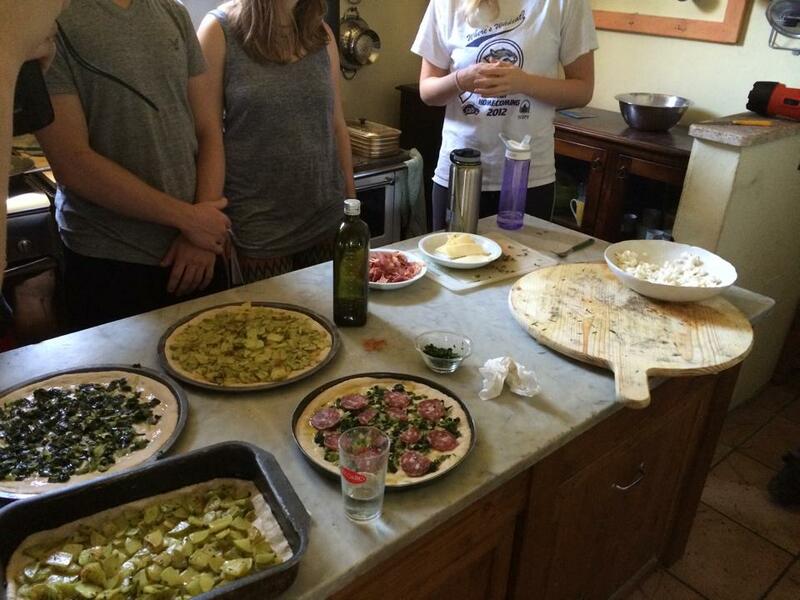 Pizzas made by students in the UNH-in-Italy program, made from scratch with fresh ingredients from a farm in the Sibilin Mt. Range. And luckily, according to Georgetti, not only do the locals know UNH is coming, but they also embrace the students’ arrival. Most locals don’t speak English, and beg the students to help them practice it. So that’s why Georgetti finds herself wandering back down to the street market, doing her best to communicate with the woman who sells delicious baked goods. Georgetti points at a pastry covered in something that looks sweet, silky—delicious. Maybe a Zeppole, or an Anisette cookie. Her mouth waters as the middle-aged woman shouts something in thick, authentic Italian, trying to explain the taste, trying to sell her item. Eventually, though, the woman resorts to splitting off a piece of the goodie and handing it to Georgetti. It’s a universal message: free sample. 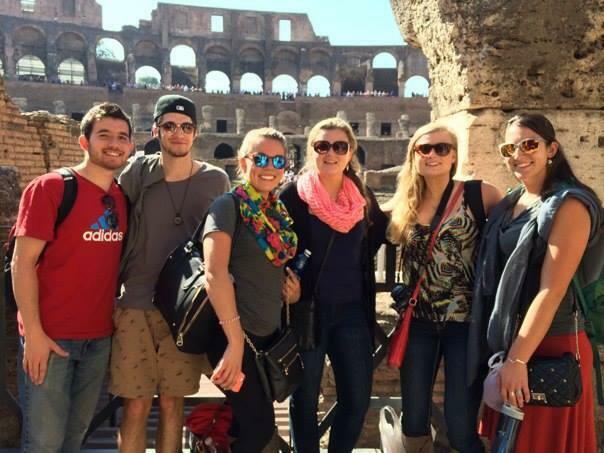 Georgetti (right) and classmates visiting the Colosseum. 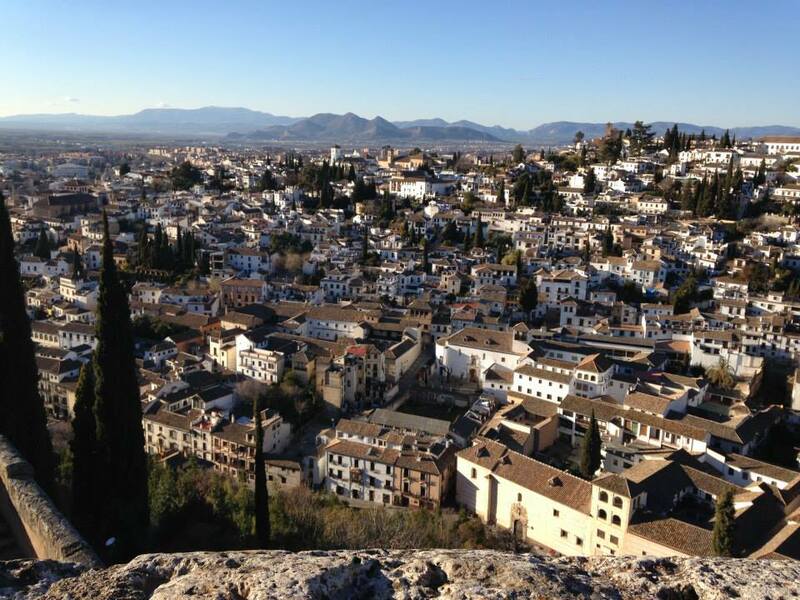 Interested in spending a semester abroad? Not quite sure if you’ll find what you’re looking for? Want to know more about the programs but don’t want to hear the typical and simple “it-will-be-amazing” sales pitch? Well, welcome to your newest window to the world. The purpose of this blog is to provide the real stories of studying abroad: by students, for students. Each week it will offer a new student, a new story, and a new piece of information to help you make your decision about studying abroad. 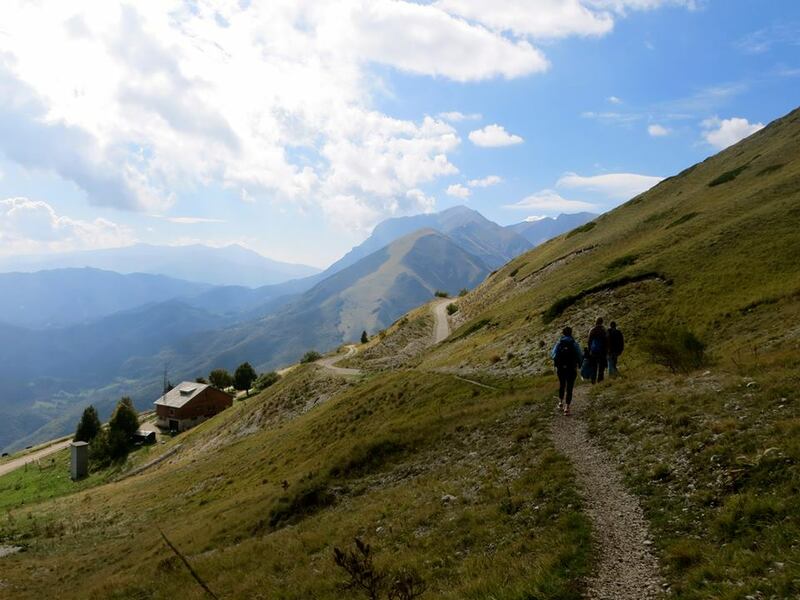 No sugar-coating the struggles, no down-playing the triumphs; just the truth about students and their experiences in the study abroad programs offered by UNH’s College of Liberal Arts. But most importantly, this blog will provide you with an interesting, eye-opening, fun read about some of your traveling, fellow Wildcats! So whether you’re researching for your potential foreign future or just want to get a little piece of the action while sticking close to home, this blog will provide the perfect read. So stay tuned, get acquainted with the site, and be sure to save it to your “favorites.” When everyone on campus is buzzing about the new COLA blog, “Tales From Abroad,” you won’t want to be out of the loop!